Dr. Taeko Nakashima received her M.A. and Ph.D. in Media and Governance from Keio University in Kanagawa, Japan. 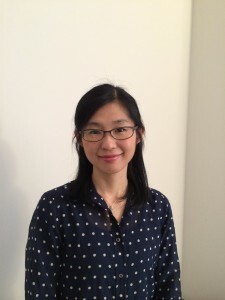 During the last year of her doctoral candidacy in 2009, she started her career as a researcher at the Institute for Health Economics and Policy in Tokyo, where she later served as a senior researcher until 2014. Dr. Nakashima has also taught undergraduate courses at Chiba University of Commerce and Syukutoku University. Dr. Nakashima has extensive experience conducting healthcare and long-term care policy research in cooperation with national and municipal governments. Her research on the international comparison of national strategies for dementia care was funded by the Health and Labor Sciences Research Grant of the Ministry of Health, Labor and Welfare in Japan. She is currently participating in a research project with the City of Yokohama on the longitudinal study of productive aging that investigates the relationship between productive activity participation and health and mental condition of the elderly. In addition, Dr. Nakashima has authored quantitative research articles such as national long-term care insurance benefit data analysis and demand estimation of visiting nurses based on national demographic data. An evaluation of palliative care contents in national dementia strategies in reference to the European Association for Palliative Care white paper. International Psychogeriatrics 27(9): 1551-1561, 2015. Nakanishi,M., Nakashima, T., Shindo, Y. et.al. Features of the Japanese national dementia strategy in comparison with international dementia policies: how should a national dementia policy interact with the public health and social care systems? Alzheimer’s & Dementia. 10(4) :468-476, 2014. Nakanishi, M., Nakashima, T.
Systems development and difficulties in implementing procedures for elder abuse prevention among private community general support centers in Japan. Journal of Elder Abuse & Neglect. 26(1): 31-43, 2014. Nakanishi, M., Nakashima, T., Yamaoka,Y., et al. Health care and personal care needs among residents in nursing homes, group homes, and congregate housing in Japan: why does transition occur, and where can the frail elderly establish a permanent residence? Journal of the American Medical Directors Association 15(1) 76e1-76e6, 2014. Nakanishi, M., Hattori, K., Nakashima, T. et al. Community-based system, reports, and substantiated cases of elder abuse: disparities between municipalities and relating factors in Japan. Journal of Aging & Social Policy 25(3): 234-247, 2013. Nakanishi, M., Nakashima, T., Sakata, N., et al. Deliberate promotion of community-based services through the cases in data analysis of long term care insurance allowance (Capter6). “Dai rokusyo chiikimittyakugata sabisu no keikakuteki suishin – jirei kara miru kaigogyousei no houhou”. Ed. Hirano, T., 2012. Chuohoki, Tokyo, 161-191. Okuda, Y., Nakashima, T.
Quality of life of residents with dementia in a group-living situation: an approach to creating small, homelike environments in traditional nursing homes in Japan. Japanese Journal of Public Health 59(1): 3-10, 2012. Nakanishi, M., Nakashima, T., Sawamura, K.
Evaluation of the booklet on end-of-life care for residents with dementia by staff of special nursing homes in Japan. “Kaigoroujinfukushishisetu no syokuin ni okeru ninchisyo kouresya ni taisuru syumatsukikea no gaido heno hyoka”. Journal of Japanese Society for Dementia Care 11(2) ;477-486, 2012. Nakanishi, M., Nakashima, T., Arcand, M., et al. Estimates about the number of elderly users who need visiting nursing service and visiting nurses. “Houmon-kango riyousyasu oyobi houmon-kangoshi hituyousu no suikei”. Journal of Health and Welfare Statistics. 58 (11): 30-37, 2011. Nakashima, T., Yamaki, S., Yoshiike, Y., et al. Research on system for the elderly abuse prevention among small-scale municipal governments in Japan. “Shokibo jichitai ni okeru koureisya gyakutai boushi ni muketa taisei ni kansuru kenkyu”. Journal of Prevention of Elder Abuse 7(1):139-149, 2011. Nakashima, T., Nakanishi, M.
Study on the relationship between efforts by municipalities and supports by prefectures about prevention for elder abuse.” Shikuchoson ni okeru koureisya gyakutai boushi no tameno torikumi no shinten to todoufuken ni yoru torikumi heno shien tono kanren”. Journal of Prevention of Elder Abuse 7(1):72-81, 2011. Nakashima, T., Nakanishi, M.
Extracting the practical subjects of informal care based on the characteristics of community (1). -Results of the research in the S Area of suburban Kasugai- City where the population has been rapidly aging-. “Chiiki tokuse ni sokushita infomarukea no jissenkadai chusyutu no kokoromi (1) -koureika ga susumu daitoshikinkou no kasugaishi S-chiku no chosa kara-”. Journal of Social Welfare, Nihon Fukushi University. 125 ; 103-119, 2011. Nakashima, T., Tajima, K., Kim, W., et al. Extracting the practical subjects of informal care based on the characteristics of community (2). -Results of the research in Takahama-City where community development is being promoted through social care actibities by residents-.” Chiiki tokuse ni sokushita infomarukea no jissenkadai chusyutu no kokoromi(2) -koureika ga susumu daitoshikinkou no kasugaishi S-chiku no chosa kara-”. Journal of Social Welfare, Nihon Fukushi University. 125 ; 121-134, 2011. Tajima, K., Nakashima, T., Kim, W., et al. Disparities in systems development for elder abuse prevention among municipalities in Japan: implications for strategies to help municipalities develop community systems. Social Science & Medicine 71(2): 400-404, 2010. Nakanishi, M., Nakashima, T., Honda, T.
Research on the services infrastructure development and the situation on Community-based Services to secure a certain level of quality by local government. ”Jichitai ni okeru chiikimittyakugata service no seibi keikaku to shitsu no kakuho?koujo ni muketa torikumi ni kansuru kenkyu”. Journal of Japanese Society for Dementia Care 7(1)?59-69, 2008. Nakashima, T., Nagata, K., Hirabayashi, K., et al. Research concerning the practical utility of family evaluations for quality assurance of group homes for the elderly with dementia ; Focus on support for the outdoor activities. “Ninchisyo koureisya grouphome no riyousha kazoku anketo wo ikashita shitsu no kakuho?koujo ni kansuru kenkyu; Gaisyutsu shien wo shoten ni”. Journal of Japanese Society for Dementia Care 5(3) : 426-435, 2006. Nakashima, T., Nagata, K., Hirabayashi, K., et al. Local governments’ policies on dementia care – Focus on early detection and treatment -. ” Jichitai ni okeru ninchisyo shien shisaku no arikata ni kansuru kenkyu; Soukihakken?taiou wo shoten ni.”. Journal of Care and Welfare 13(2) : 105-118, 2006. Nakashima, T., Takano, H.
Research on the practical usage of service evaluation results on group homes for elderly people with dementia ; A comprehensive analysis of both self-evaluation and third party evaluation. “Ninchisyo koureisya grouphome no service hyoka kekka no katsuyou ni kansuru kenkyu”. Journal of Japanese Society for Dementia Care 4(1) : 62-72, 2005. Nakashima, T., Nagata, K., Hirabayashi, K.
National Dementia Strategy in Australia. “Australia no ninchisyo taisaku.” The Review of Comparative Social Security Research 190: 24-38. 2015. Nakanishi, M. Nakashima, T.
Recent global trend of national dementia care strategy and care workers. “Kaigai no ninchisyokea wo meguru kokkasenryaku to senmonsyoku no doukou.” Case Journal of Dementia Care 5, 450-460, 2013. Nakashima, T.
Utilize community power (Capter6), Support system for people with dementia in a community (Section1). Institution and organizations about people with dementia (Capter8), Government Policies (Section 2). “Dai rokusyo chiiki no tikara wo ikasu – renkei to kyodo(dai issetsu),Dai hassyo ninchisyo ni kansuru seido ? kankei kikan (dai nisetsu)”. New training textbook for care workers 12 Dementia, Ed. Editorial committee for care worker training, 2013.Chuohoki, Tokyo, 194-204, 247-254. Nakashima, T., Hirano, T.
The concept and practice of aging in place (serial in three installments) “Hajimete manabu chiikihoukatsukea no kangaekata to jissenhou.” Proficient care manager. 2011-2012. Nakashima, T., Nakanishi, M.
Current situation and future subject of elderly abuse at home. “Zaitaku ni okeru koureisya gyakutai no jittai to kongo no kadai.” Journal of Japanese Society for Dementia Care 9(3):451-456,2010. Nakanishi, M. Nakashima, T.
Omuta city’s challenges, in an effort to make a great city where people with dementia live together. “Omuta-shi no chosen. Ninchisyo no hito ga sonohitorashiku kuraseru mati wo mezashite”. Tutsuisyobo, Tokyo, 2008. Nakashima, T.
Dementia Care – How do we support 160 million people with dementia? (Chapter1 Section3) “Dai issyo dai sansetsu ninchisyokea – hyakurokujyumannin no ninchisyo koureisya wo dou sasaeteikuka”. In Care Management White Paper 2005. Nihon Iryo Kikaku, Tokyo. 2005. Nagata, K., Nakashima, T.
The purpose and future subject of third party evaluation of group homes for people with dementia.” Chihousei koureisya grouphome ni okeru gaibuhyoka no mezasumino to kadai”. Journal of Japanese Society for Dementia Care 2(2): 262-268. 2003. Nagata, K., Nakashima, T., Hirabayashi, K.
Do small economic incentives encourage social participation in old age? The Gerontological Society of America 67th Annual Scientific Meeting. Washington. 2014. Watanabe,D., Sawaoka,S., Nakashima, T. , et al. Factors that make it difficult for residents to live in group homes. 29th International Conference of Alzheimer’s Disease International, Puerto Rico, 2014. Nakashima, T. , Hattori, K., Nakanishi, M. , et al. Between ideal and realistic practice of terminal situations of cancer and dementia in Japan and Korea: Focus on decision-making leader. 28th International Conference of Alzheimer’s Disease International, Taipei, 2013. Nakashima, T. , Watanabe., D., S.H. Lee., et al. Comparison of the information to the family in the terminal sisuations of cancer and dementia in Japan and South Korea. 28th International Conference of Alzheimer’s Disease International, Taipei, 2013. S.H. Lee, Nakashima, T., Watanabe, D. et.al. Dementia care policy comparison between Japan and England. “Nihon to england ni okeru ninchisyokea wo meguru seisakuhikaku”. 13rd Conference of The Japanese Society for Dementia Care. 2012. Nakashima, T., Nakanishi, M., Nagata, K.
Between Ideal and Realistic Practice of Terminal Situations: An International Comparison among Physicians, Nurses, and other Caregivers. 9th Asia/Oceania Regional Congress of Gerontology and Geriatrics, Melbourne, Australia, 2011. Watanabe, D., Nakashima, T., Tsuji,K. Analysis of ideal and realistic judgment of terminal care for people with severe dementia though international comparative survey. “Judo ninchisyo no hito ni okeru syumatsuki no tiryo?kaigohoushin no risou to genjituteki handan ni kansuru bunseki -kokusaihikaku tyosa wo toshite”. 12th Conference of The Japanese Society for Dementia Care. Yokohama, 2011. (Ishizaki Award) Nakashima, T., Watanabe, D., Ogami.S., et al. Stress of the care workers in nursing homes though comparing unit care facility, group care facility and conventional care facility. “Kaigoroujinfukushishisetsu ni okeru syokuin no sutoresu ni kansuru kento -yunittogatasisetu?groupgatashisetsu?jyuraigatashisetsu no hikaku”. 11th Conference of The Japanese Society for Dementia Care. Hiroshima, 2010. Nakashima, T., Nakanishi, M., Sawamura, K.
Prevention of elder abuse programs in prefectures and municipalities. “Todoufuken oyobi shikutyoson ni okeru koureisya gyakutai boushi no tameno torikumi ni kansuru kenkyu”. 7th Conference of Japan Academy for Prevention of Elder Abuse. 2010. Nakashima, T., Nakanishi, M.
Service amount of care workers in nursing homes though comparing unit care facility and conventional care facility. “Kaigoroujinfukushishisetsu ni okeru syokuin no gyomuryo no kento -yunitgatashisetsu to jyuraigatashisetsu no hikaku”. 68th Conference of Japanese Journal of Public Health. Nara, 2009. Sawamura, K., Nakashima, T.
Situation and problems of local government to have Community-based Services local community key center. “Chiikimittyakugata sabisu wo ninchisyokea no chiiki kyoten to surutameno jititai no torikumi jittai to kadai”. 7th Conference of The Japanese Society for Dementia Care. Morioka, 2006. Nakashima, T., Nagata, K., Hirabayashi, K., et al. The possibility and problems which visiting nurses promote the person centered care with team. “Chiimu deno riyousyahoni no shien wo houmonkangoshi ga suishinsiteiku kanousei to kadai”. 10th Conference of Japan Academy of Gerontological Nursing. Utsunomiya, 2005.Nagata, K., Nakashima, T., Komori, Y., et al. To secure good quality group homes for elderly people with dement ?through multifaceted service evaluations. 21st International Conference of Alzheimer’s Disease International, Istanbul, Turkey, 2005. Nakashima, T., Nagata, K., Hirabayashi, K.
Utilization of the service evaluation’s results in group homes.” Chihouseikoureisya grouphome no sabisuhyoukakekka no katsuyo ni kansuru kenkyu”. 5th Conference of The Japanese Society for Dementia Care. 2004. (Ishizaki Award) Nakashima, T. Nagata, K., Hirabayashi, K.
This page was printed from http://economics.camden.rutgers.edu/faculty/nakashima-fukuda/ at 10:47 PM Thursday, April 25, 2019.